That all works out great if those potentially conflicting motives intersect at the perfect vehicle which just happens to be on your lot. Otherwise — we all know the drill — you end up trying to interest them in another vehicle. Believe me, I’ve been in the car business for 24 years (13 of them in auto sales as used-car manager, sales manager and general manager) and have seen this happen time and time again. Dealers are limited by what’s on their lot, and their practice of securing inventory by going for the best wholesale deals just isn’t cutting it. In this day and age, I don’t believe that dealership operations should be segmented into wholesale and retail. Dealerships should view themselves as profit centers, pure and simple. In order to move inventory that’s been sitting around for a long time, dealers start slashing prices. That causes the value of those models to depreciate faster in the local market, and also leads to lower resale values for the customer when they try to sell their car. This business mentality has reduced the gross percentage by a record reported 30 percent in the last five years alone. Other than freeing up a space on your lot, this race to the bottom doesn’t benefit you or the buyer. The cycle repeats itself if you replace that deeply discounted car with yet another vehicle that isn’t desirable in your market. And for goodness sakes, don’t take vehicles just on trade. A perfect example of this is taking two-wheel-drive trucks in Western states. That will be a hard vehicle to move in an area that prefers four-wheel drive. Why force a vehicle like that into a market that doesn’t want or value it? This philosophy of “I got a great deal on this car wholesale, so I’ll make a good profit on it” is flawed for two reasons. First, it limits your inventory to what is physically on your lot. Second, it doesn’t take into account local market conditions such as what other dealers have that model, and what they are selling it for. This doesn’t just impact the car industry, it impacts the national economy. The auto industry affects seven out of every 10 businesses in America, whether directly or indirectly. If we depress the market for used cars by continuing to slash prices, we run the risk of hampering national economic growth. According to industry statistics, the average advertising cost per new prospect is $400. Some operations spend way more than that. Why continue shelling out $400 a pop if what the prospect wants isn’t on your lot or even accessible to you? Where I’ve seen the best results for dealers is when they do their research and have the right mix of cars. Having the right inventory values your vehicles better and will help you with quicker turn times. Dealers need to do a better job of sourcing the right inventory, and not just focusing on wholesale bargains to the public. That’s where the digital marketplace comes in. It can help you pre-sell a car that isn’t even on your lot yet. It expands your available inventory and can reveal opportunities such as a vehicle that’s a good seller in your market but is stuck in an area where it’s not. You must factor in expenses like transportation costs, but you can still make a good profit on it if you have the right data. This is especially effective when you have repeat and referral buyers that already like, trust and respect you or your staff. So, how do you go about acquiring market intelligence and demographic breakdowns for your market? With all the technology available today, dealers are at a disadvantage if they don’t partake of it to access inventory and price it correctly. If you don’t have the right analytics tools to see what’s selling in your market, you’re just gambling that the vehicles on your lot will someday attract a buyer. Some consumers are buying direct from Internet sites without even going through a dealer, but others want a level of confidence that comes with working with brick-and-mortar dealerships. They want the dealer to protect them from bad transactions. Do this correctly and you can still engender loyalty and repeat business from customers. Once they are in your customer database, you can reach out to them via direct marketing and offer up your parts and service lines, or other promotions. So, in this new dealership philosophy, you don’t have to sell only what you’ve got, you can sell it all! New models are coming in all the time, leading to an almost endless supply of pre-owned vehicles in subsequent years. Dealers are unrestricted by the wholesale-retail model that limits inventory and can lead to quicker devaluation of certain models. By employing this new philosophy of thinking more like a profit center and less like a retail operation looking to move merchandise, dealers will be poised to create scenarios where everyone wins. Large groups are using this philosophy and dominating. CarMax is rumored to handle 40 percent of sales as locates. The customers win because they get the car they want. They also win because the car will better retain its value and not fluctuate with the whims of price-slashing dealers. This in turn makes them easier to do business with in the long run. And of course, the dealership wins because it profits from a sale without having to deeply discount a vehicle just to get it off the lot. It increases unit turns, grosses, repeats and referrals, and greatly increases customer satisfaction. Nobody loses in this scenario. Dealers only lose if they don’t participate. 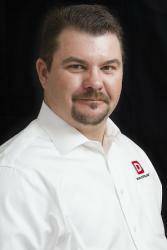 Travis Wise is senior vice president of sales with DealersLink, an automotive systems integration and networking technology company based in Broomfield, Colo.